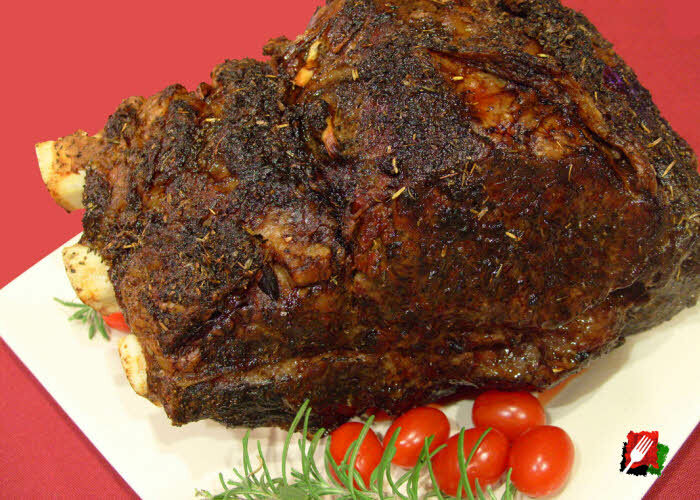 Select at least a 4 pound standing rib roast (allow about 1 pound per person). Remove from refrigerator and season the outside of the roast with a generous amount of salt, garlic powder, and freshly ground black pepper. With a small paring knife, make several 1/2″ deep cuts around the outside of the roast and insert garlic slivers throughout, then place the roast in a foil-lined pan fat side up resting on the rib side or a wire rack. Let the roast rest to absorb the flavors and get to room temperature for about an hour. You can start cooking the roast any time during the day (even before leaving for work! ), but at least 3 hours before serving. Preheat the oven to 375 degrees, then place the pan with the room temperature roast in the oven for exactly 45 minutes. Do not baste, don’t add any water, and don’t cover. After 45 minutes, turn off the oven and leave the roast in the oven with the door closed (don’t peek!). 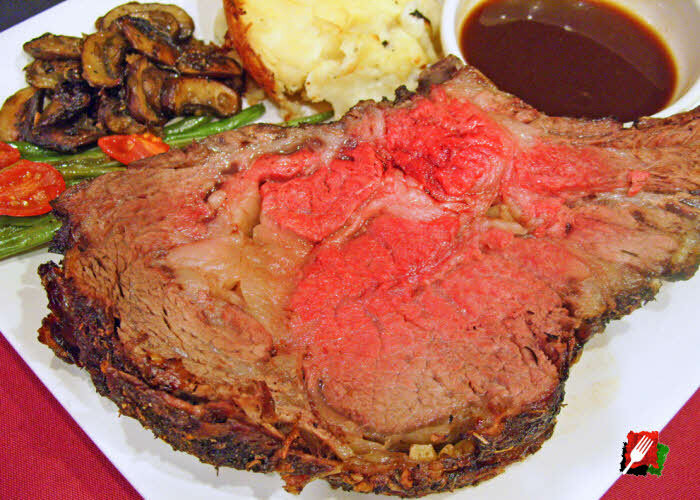 An hour before you plan to serve this delicious prime rib roast, turn the oven back on again at 375 degrees for another 45 minutes. 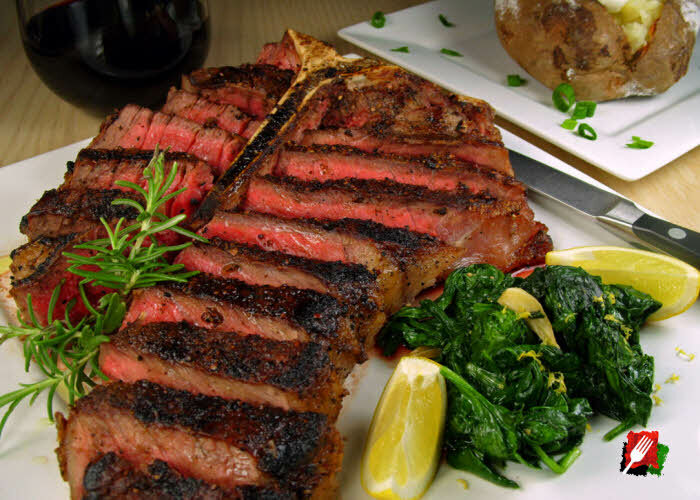 The internal temperature should be between 125 to 130 degrees for medium-rare. 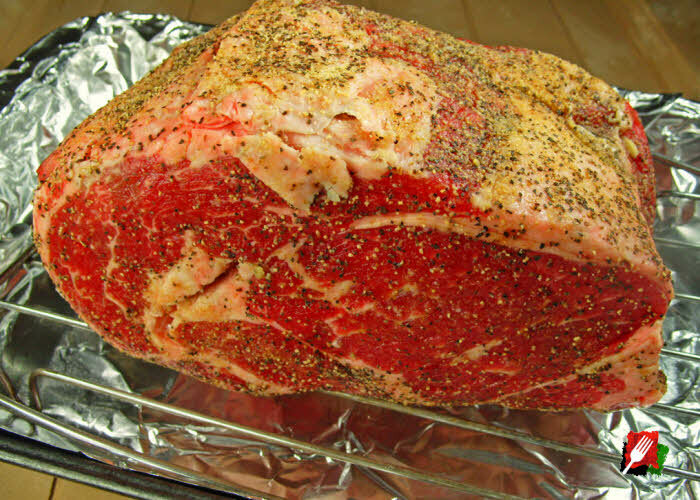 Immediately remove the rib roast from the oven and let it stand for 10 to 15 minutes before carving and serving. Make French Dips with Leftovers. 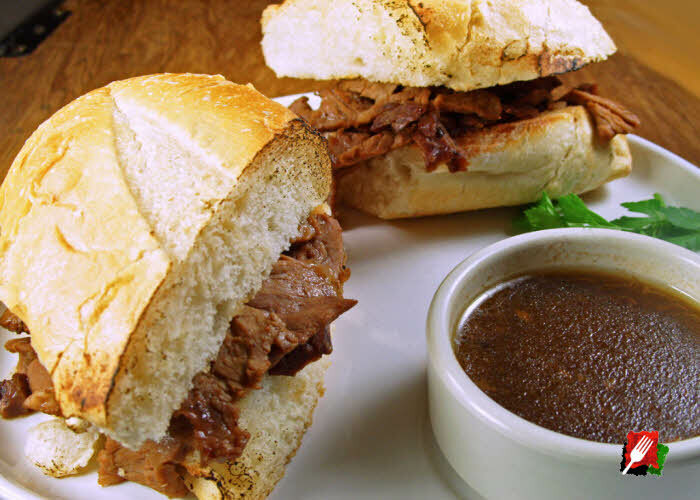 Thinly slice any prime rib leftovers, heat up with Au Jus in a small pan, then add to freshly toasted French bread or baguettes for flavorful French dip sandwiches. Keep a little bowl of Au Jus on the side for dipping. Absolutely Delicious! Note: While the 45/45 minute cooking time works perfectly in most cases, you can adjust the final cooking time up or down, depending on the size of the roast and how you would like it done. 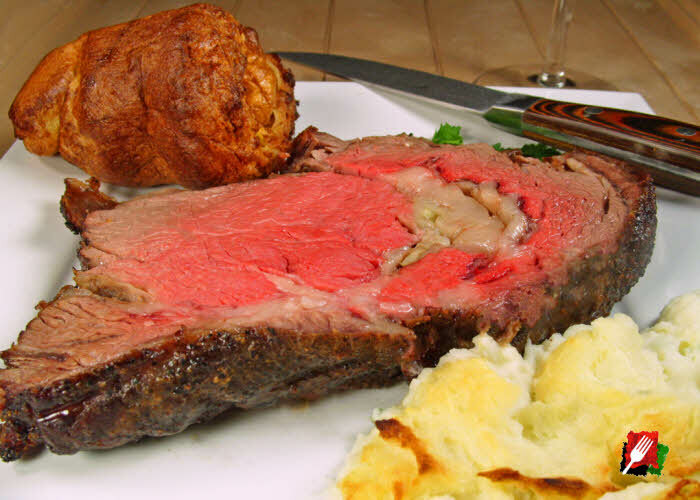 For larger roasts of 10 pounds or more, for example, extend the precooking time to 60 minutes, then do the final cooking time to 60 to 90 minutes at the end for medium rare. 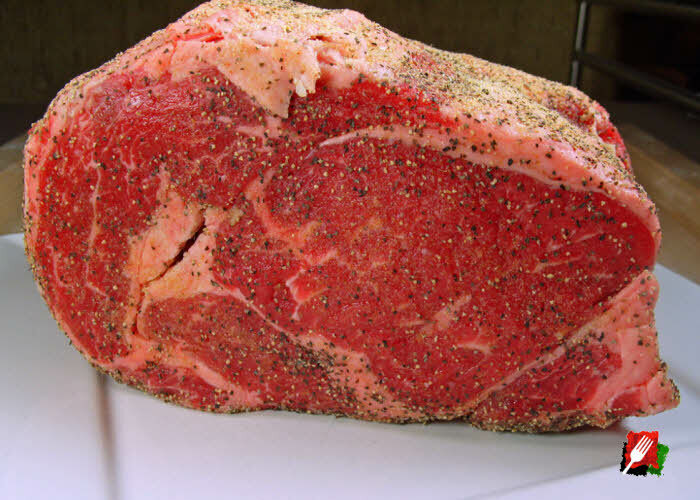 The internal temperature should be about 115 to 120° for rare, 125 to 130° for medium-rare, and 135 to 140° for medium.